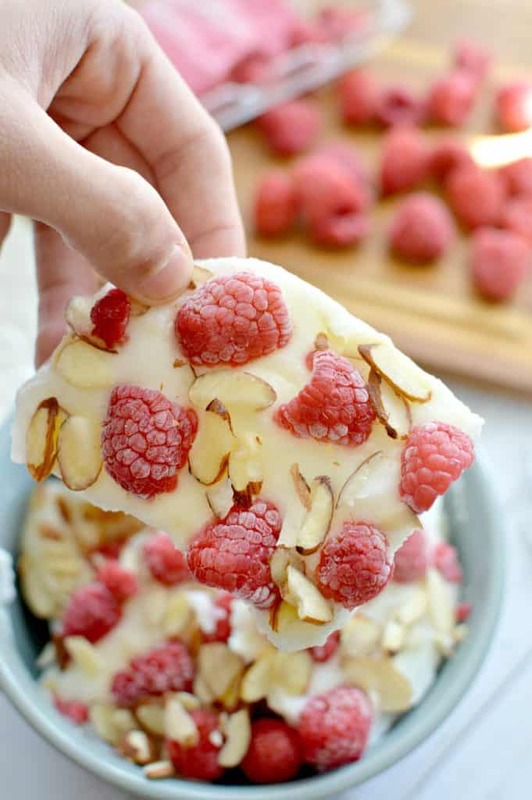 This frozen yogurt bark is a delicious snack with good for you ingredients! 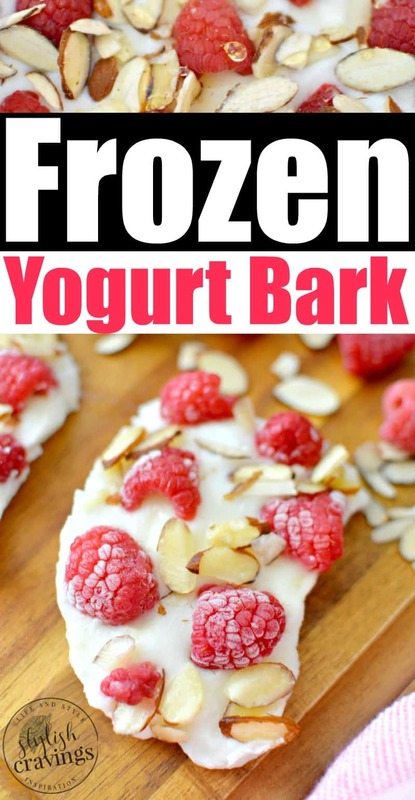 All you need to make this frozen yogurt bark is four ingredients! I always make holiday-themed candy bark for the kids. I’ve made an Easter candy bark a Halloween candy bark and a super cute melted snowman bark! The kids have been asking for me to make them one of the candy bark recipe but I decided to make this less sugary version. 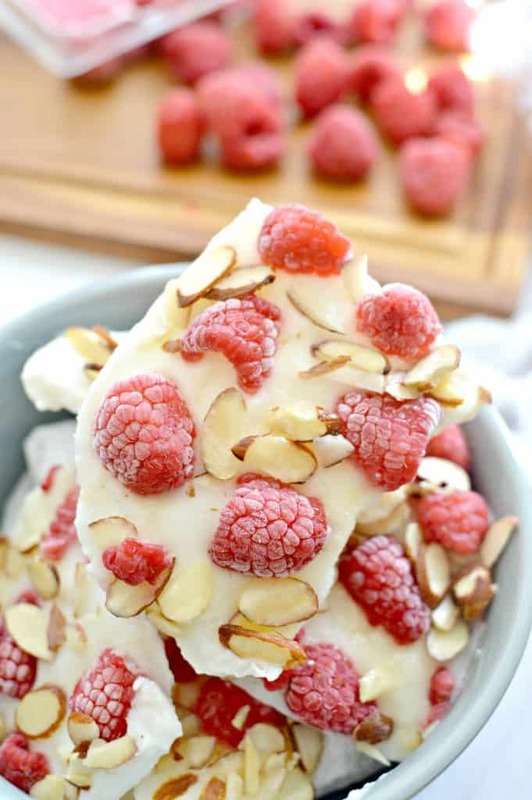 The ingredients for this frozen yogurt bark are greek yogurt, raspberries, sliced almonds and to sweeten it I added a bit of honey! I was going to add shredded coconut but I don’t think the kids would’ve enjoyed the texture in the frozen yogurt bark. With four ingredients you too can recreate this good of your treat that’s really easy to make! 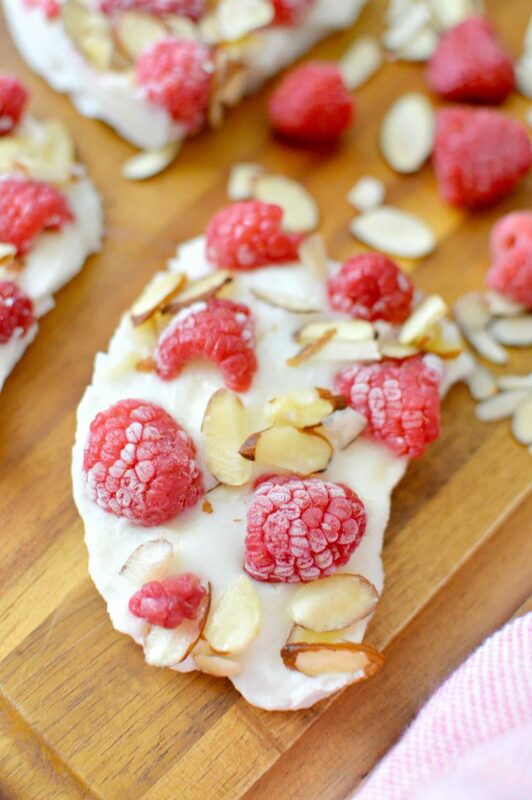 This frozen yogurt bark is easy to customize too! 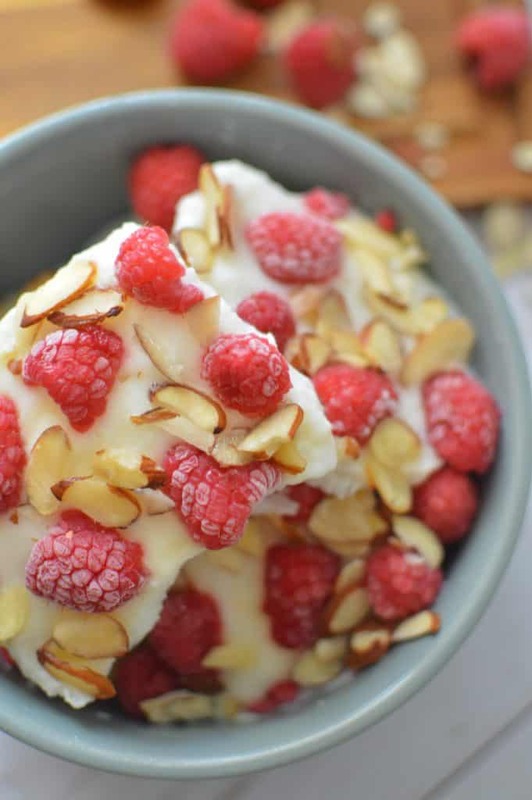 You can add choclate chips, raisins, strawberries, peanuts or even pretzels! Mix yogurt and 2 tbsp of honey together. Line a baking tray with wax paper and pour the yogurt on top. 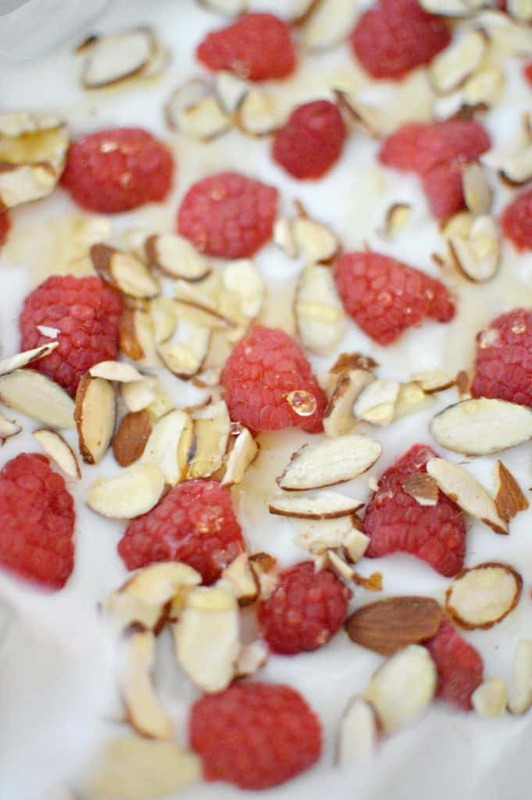 Add almonds, an rasberries and drizzle with remaining honey and or chocolate! Place in freezer for 2-4 (the longer the better) hours until frozen. Break bark with knife and serve! 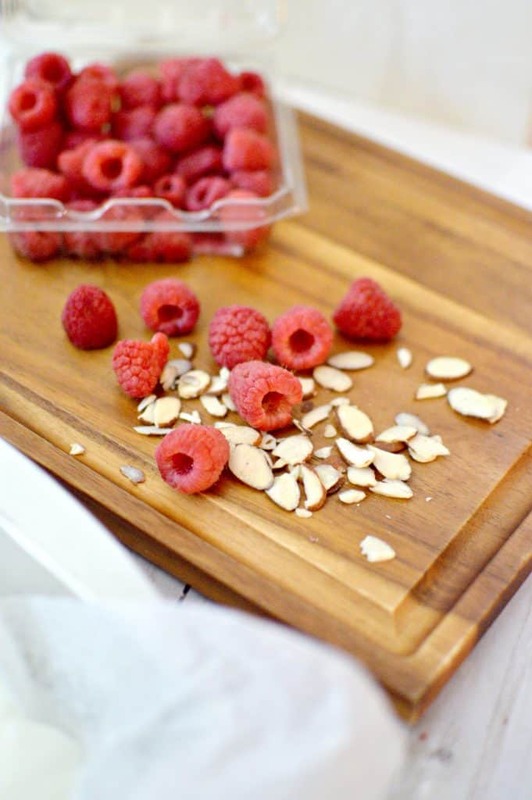 Pin this frozen bark recipe for later! Click here to follow me on Pinterest where I share tons of recipes like this and much much more!